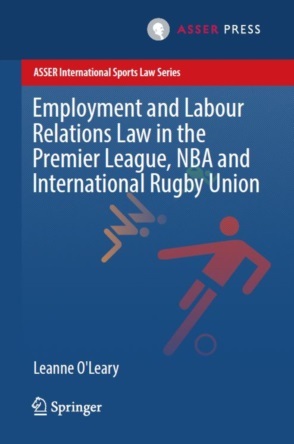 Editor's note: This report compiles all relevant news, events and materials on International and European Sports Law based on the daily coverage provided on our twitter feed @Sportslaw_asser. Richard McLaren, CAS Arbitrator, sports law scholar and former head of the World Anti-Doping Agency's investigation into the Russian doping scandal. Concerns about adverse human rights impacts related to FIFA's activities have intensified ever since its late 2010 decision to award the 2018 and 2022 World Cup to Russia and Qatar respectively. However, until recently, the world's governing body of football had done little to eliminate these concerns, thereby encouraging human rights advocates to exercise their critical eye on FIFA. In response to growing criticism, the Extraordinary FIFA Congress, held in February 2016, decided to include an explicit human rights commitment in the revised FIFA Statutes which came into force in April 2016. This commitment is encapsulated in Article 3 which reads as follows: ''FIFA is committed to respecting all internationally recognized human rights and shall strive to promote the protection of these rights''. At around the same time, Professor John Ruggie, the author of the United Nations Guiding Principles on Business and Human Rights ('UN Guiding Principles') presented in his report 25 specific recommendations for FIFA on how to further embed respect for human rights across its global operations. While praising the decision to make a human rights commitment part of the organization's constituent document, Ruggie concluded that ''FIFA does not have yet adequate systems in place enabling it to know and show that it respects human rights in practice''. Editor’s note: Mario Vigna is a Senior Associate at Coccia De Angelis Vecchio & Associati in Rome, Italy. His main practice areas are sports law, commercial law, and IP law. He also has extensive experience in the Anti-doping field, serving as Deputy-Chief Prosecutor of the Italian NADO and as counsel in domestic and international sports proceedings. He is a frequent speaker at various conferences and workshops. He was not involved in either of the cases discussed below. Overdue payables in action: Reviewing two years of FIFA jurisprudence on the 12bis procedure – Part 2. By Frans M. de Weger and Frank John Vrolijk. Editor's Note: Frans M. de Weger is legal counsel for the Federation of Dutch Professional Football Clubs (FBO) and CAS arbitrator. 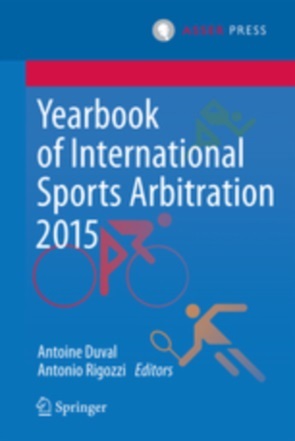 De Weger is author of the book “The Jurisprudence of the FIFA Dispute Resolution Chamber”, 2nd edition, published by T.M.C. Asser Press in 2016. Frank John Vrolijk specialises in Sports, Labour and Company Law and is a former legal trainee of FBO and DRC Database. This second blog will focus specifically on the sanctions available for FIFA under Article 12bis. It will provide explanatory guidelines covering the sanctions imposed during the period surveyed. Overdue payables in action: Reviewing two years of FIFA jurisprudence on the 12bis procedure – Part 1. By Frans M. de Weger and Frank John Vrolijk. The end of governance reforms at FIFA? Editor’s note: Tomáš Grell is currently an LL.M. student in Public International Law at Leiden University. He contributes to the work of the ASSER International Sports Law Centre as a part-time intern. In its press release of 28 February 2017, the International Olympic Committee ('IOC') communicated that, as part of the implementation of Olympic Agenda 2020 ('Agenda 2020'), it is making specific changes to the 2024 Host City Contract with regard to human rights, anti-corruption and sustainable development. On this occasion, IOC President Thomas Bach stated that ''this latest step is another reflection of the IOC's commitment to embedding the fundamental values of Olympism in all aspects of the Olympic Games''. Although the Host City of the 2024 Summer Olympic Games is scheduled to be announced only in September this year, it is now clear that, be it either Los Angeles or Paris (as Budapest has recently withdrawn its bid), it will have to abide by an additional set of human rights obligations.